Spinning magazine tidy with graphic panels (pictured right) so you can categorise your periodical collections. 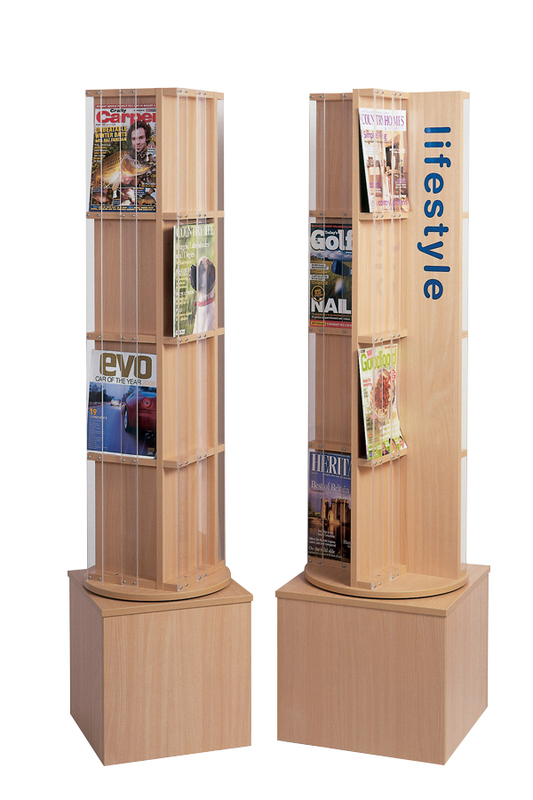 Ideal for use in libraries, schools and reception areas, this spinner display has 16 display shelves with acrylic strips to retain magazines. It has 4 graphics panels which can be printed with a maximum of 10 letters per panel, 80mm maximum letter height. The unit is available in 12 colours with 7 colour options for the lettering. We have a wide range of book spinners. For more information please Contact Us or call us on 01733 511121. Manufactured to order and dispatched within 2-4 weeks.